In 1988, he designed the TW Collection for Frezza, a timeless product which marked his official arrival and specialization in office design, a sector in which he has received numerous awards. In the years that followed, he worked with a number of historic firms in the field of Italian and international design as well as working on interior design projects for major showrooms and participating in numerous architecture competitions. 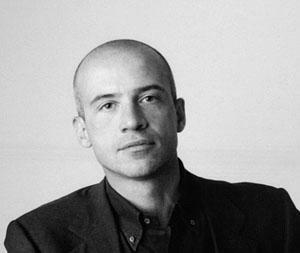 In 2006 he founded “Claudio Bellini Design + Design”, a design studio distinguished by formal and technological research with a decidedly experimental approach which is carried out in the prototype laboratory in the studio. He teaches the course in Design and Furnishings at Genoa Polytechnic. Since 2003, he has been art director for Barazzoni. At present, the Claudio Bellini studio is working on a number of major international architecture projects.